Today I decided to visit a liquor store in Middleburg, Virginia that I’ve been meaning to go to. It’s a bit anti-climatic, The State or “Commonwealth” of Virginia controls its liquor stores so the inventory doesn’t vary much. What I have discovered is that once in a while you might find something at one store that you haven’t seen before. Today was one of those instances. Sitting beside a happy bottle of Glenfarclas 10 year was this Lismore Single Malt. It was about $25 USD so I thought maybe I have found a new inexpensive Single Malt whisky. One of my hopes this year is to cover more inexpensive scotch whisky which is typically blends. So I’m not off to a good start. But it is cheaper! I was a little apprehensive so I actually googled this whisky first, picked up the reviews I could see to make sure I wasn’t purchasing a dog. After confirming I wasn’t I decided to open her up and see what she’s made of……..
It’s not overwhelming in presentation (bottle included) nor is the color rich or nose anything special. What it does have going for it is what I typically look for though. Good malt flavor, manageable alcohol influence, and decent mouth-feel. The good news is that it does possess these qualities. The most prominent component is the finish. It is a bit raisin like to me, first taste almost liquorice but subsequent tastes mellow. It’s only 40% ABV so I would not normally add water to this but in doing so I find it does feel a little more round. If you are an ice drinker I think it would hold up but I really don’t want to try that personally. As far as age, there is no statement. Expect this more and more as Distillers such as Macallan is going away from it. Age in no way guarantees you of a good product, but for those of us who appreciate aged products it does cause us a bit more work if we are unfamiliar with the product. So Scotch Whisky must be aged at least three years according to law. My guess is that this one is 5 to 7 years of age. It may even be married single malts, not sure. It is however good, how good? It’s a good daily drinker. It’s worth being chosen over many known single malts in the mass distribution category. It’s much better than some expensive blends. I hope this helps, if you are passionate about scotch whisky like myself, you should always experiment and this one is worth your time. theScotchlife.com is about my love of the whisky of Scotland. I do talk about a few other things on it also. 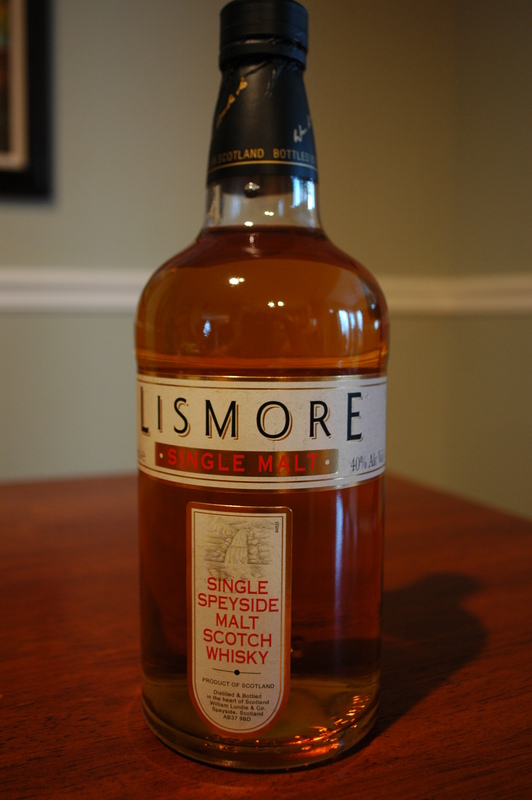 I received a bottle of Lismore for my birthday last year. Just now opened the bottle. Had it over ice, and held well. Not as smooth as other single malts I have tried, but I did enjoy it. My father,was,, and my brother, brother-in-law, and I are all Scotch drinkers. Single malt has been my choice over blended for the last 25 years. As for my recommendation, give it a try. Like the man said, it is a good every day drink for the Scotch drinker..
Agree with the comments here. Lismore has a nice nose, and I like the initial flavors, but it has lacks the smoother finish of Monkey Shoulder (which is blended, of course, but has some similarities). For the price, a very decent Scotch, but not my favorite. Security and System Tools and Tips. Software Reviews, News, Views, Downloads and Links.